Grandparents know the most valuable presents, the ones that never break and don’t need batteries, are lessons learned and memories made together. This year, Road Scholar offers grandparents the opportunity to give their grandchildren the gift of an educational travel adventure with memories all ages will treasure for generations to come. 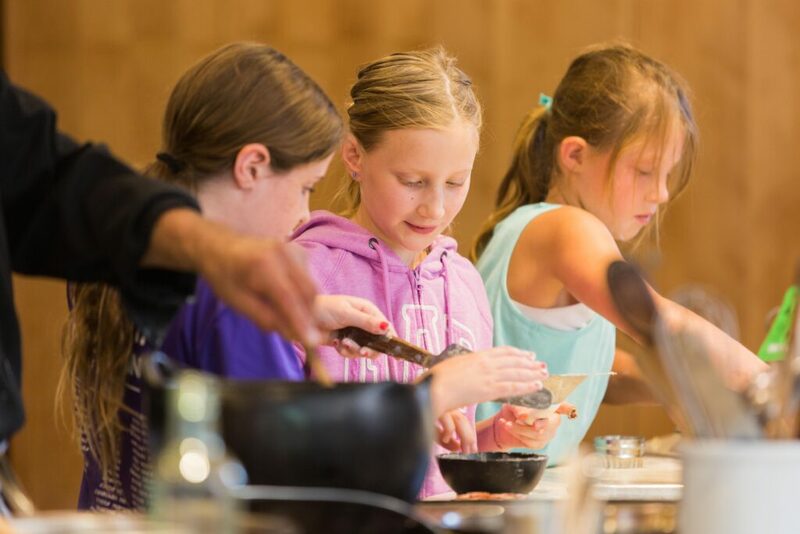 Enroll in a baking class on the “Cooking Up Fun in Santa Fe With Your Grandchild” learning vacation with Road Scholar. Photo courtesy Road Scholar. In fact, grandparent travel is a growing trend in the U.S., with Road Scholar leading the way by offering 5,500 programs in 150 states and 50 countries. Multigenerational travel is so popular because families who live far apart are looking for ways to connect. Grandparents are especially eager to share their love of learning and adventure with their grandchildren, and develop and nurture relationships that are sometimes difficult to develop with grandchildren who may live far away. More than 125,000 participants participate in a Road Scholar learning adventure each year and many are repeat guests in programs created by Elderhostel since 1975. 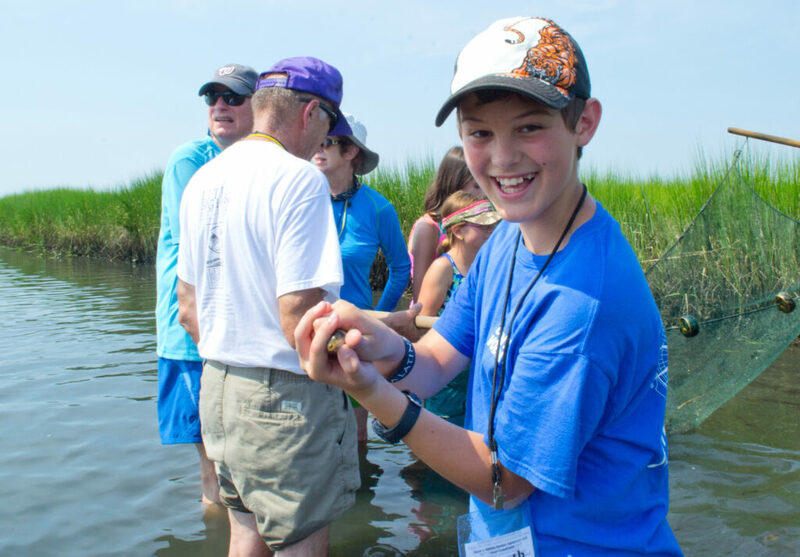 Explore Tom’s Cove together on an Ocean Science Adventure on Chincoteague Bay in Virginia with your grandchild. Photo by Gareth Bailey, courtesy Road Scholar. For the summer of 2019, Road Scholar is unveiling dozens of new and varied travel experiences for grandparents and grandchildren to enjoy together. Generations can bond while exploring the rainforest of Honduras, or on a quest to learn about the legend of King Arthur in Wales, or by going behind-the-scenes on Broadway. One of the more thrilling types of experiences Road Scholar is offering grandparents and grandchildren is authentic camping adventures in National Parks such as Zion and Bryce Canyon in Utah, Yellowstone in Wyoming and Voaygeurs National Park in Minnesota. Led by naturalists and expert local staff, Road Scholar participants and their grandchildren (ages 8-18) will learn about our nation’s greatest natural treasures as they camp in tents and embark on outings throughout the parks. “Many grandparents are eager to spend one-on-one time with their grandchildren and share fond memories of camping experiences from their own childhoods, or camping trips with their children years ago,” said James Moses, President and CEO of Road Scholar. Road Scholar also offers a wide variety of other program types for all abilities, ranging from rafting in Arizona or an outdoor adventure in Costa Rica, to snorkeling the Coral Reef in Key Largo. There is even a Harry Potter program in Florida. Their key to success with all ages is having renowned faculty and experts along who offer insider access, take care of details, and make it fun. As the country’s largest adult travel organizer and a not-for-profit educational organization, Road Scholar keeps trips affordable, too. Many start under $1,000 per person, and Road Scholar offers financial aid for those who otherwise could not participate in its programs. Want to make it easy to enjoy your grandchildren and share their growth? A Road Scholar grandparent program handles all of the details, so that grandparents and grandchildren can focus on learning together. To learn more, please visit Grandparent-Grandchild Travel Programs at Road Scholar. Stacie Fasola is Associate Vice President of Public and Media Relations at Road Scholar, the company that sponsored this post. In addition to sharing the incredible stories of the organization’s participants, she has explored some of the world’s more off-the-beaten path destinations with Road Scholar, including Hiking the Inca Trail in Machu Picchu, Cuba, and most recently, Antarctica.